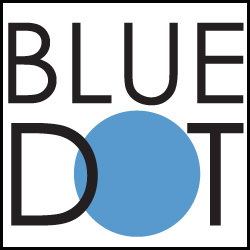 Blue Dot Custom Picture Framing offers full service custom picture framing either from our stock material or from many other leading suppliers that we work with. Catalogs and samples are available in our showroom. We also supply custom picture frames & accessories in bulk for photo-labs, photographers, art galleries, collectors & businesses. Please contact us with your framing projects and let us show you how we can save your money, time and peace of mind. Maui Fine Art specializes in Custom and Commercial Picture Framing for Residential and Commercial Accounts. Our job as your custom framing expert is a simple one: to help you create a framing solution that best reflects your style, your decor and your art, whether you're framing a picture, photograph or artwork, we have the experience to make the process fun. We do this with an emphasis on providing you with an outstanding experience while working within a budget that is most comfortable for you. There is literally no job too big or too small. Chad Paranto is a Master Picture Framer and has been framing for 20 years. Taking enormous pride in customer satisfaction, Picture It Framed has become the go-to shop for local artists, interior designers, and art collectors on Maui. They offer the largest selection of in-stock high quality framing material to meet every style and design. Their friendly and knowledgeable staff will personally work with you to create an imaginative and unique custom frame that's just right for you!